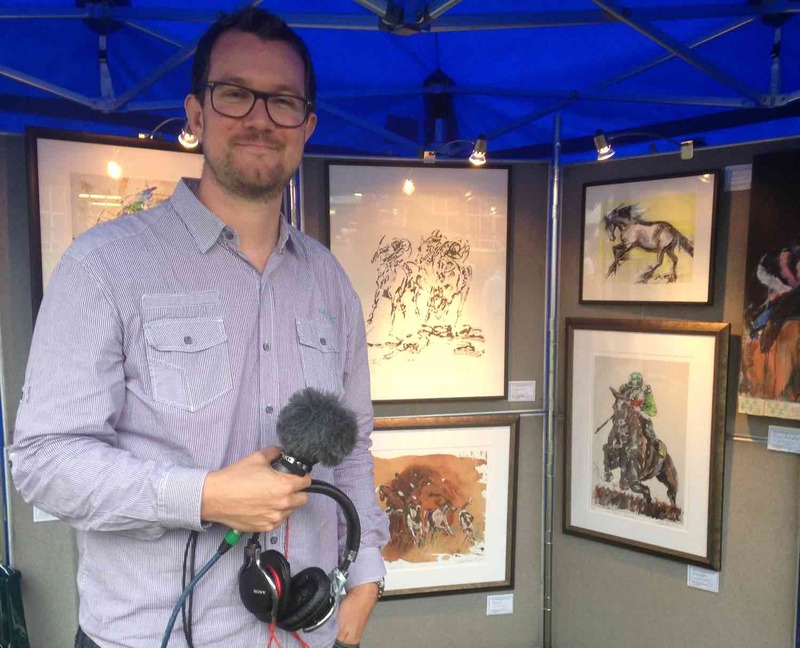 I was interviewed at Windsor Racecourse on Monday (8th August) by BBC Radio 4 for their Front Row programme which is running a series of ‘Artists in Residence’. 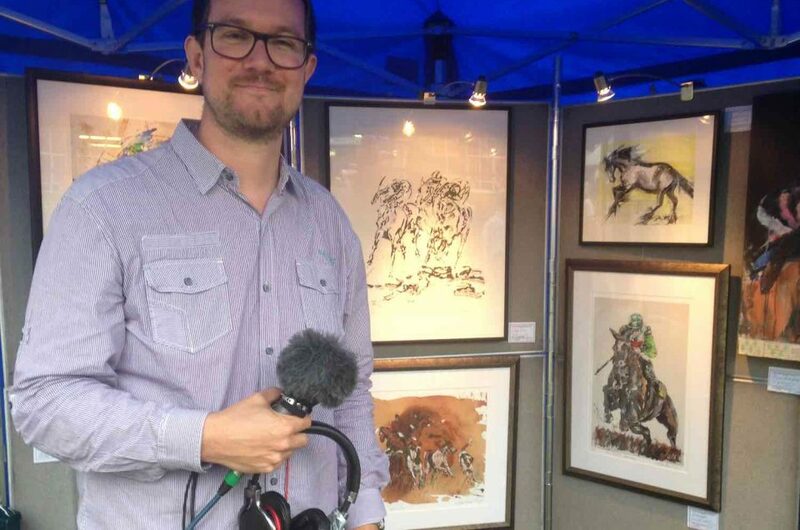 I have been proud to be the artist in residence for a number of years at Windsor and love the summer monday evening racing although some times it can be a bit wet and windy. As part of my role l’m allowed access to the stabling block, paddock and winners enclosure as well as obviously seeing them on the track, enabling me to get up close to the horses and sketch ideas for my modern and contemporary art back in the studio.